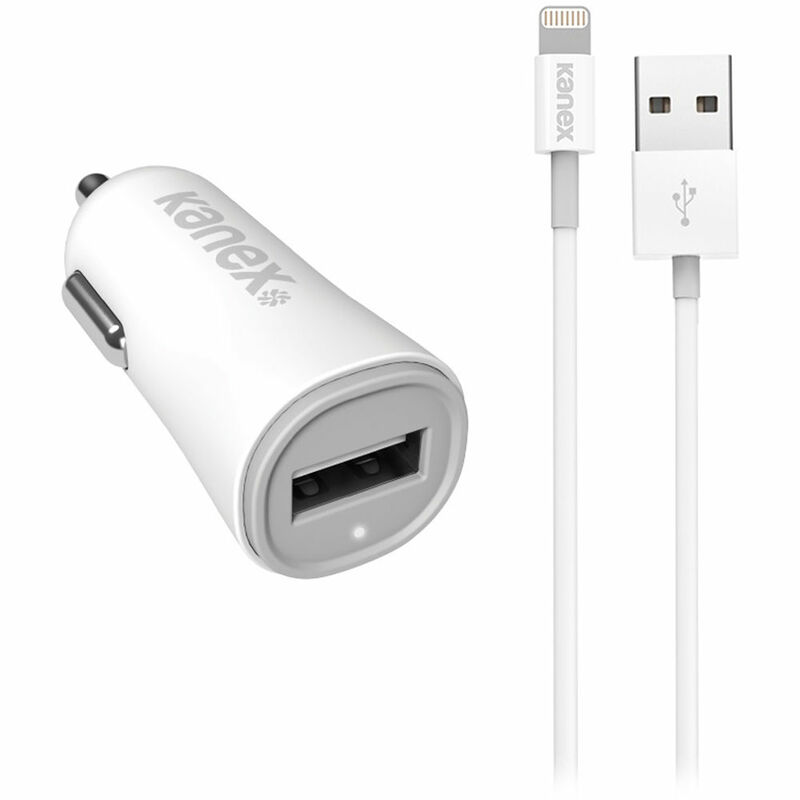 The white MiColor Lightning to USB Car Charger with Sync Cable from Kanex features an ultra-thin connector which makes it compatible with most cases and doesn't require case removal when charging and syncing. It provides a 2.4 A port that will charge the iPhone, iPod, and iPad twice as fast as a 1.0 AMP. It also includes a SureFit ultra-thin lightning cable. The MiColor car charger is designed to look and feel as modern as the gadgets it will be charging. The USB car charger is compact yet provides a 2.4A port that will charge your iPhone, iPod, and even iPad at the fastest possible speed. It is suitable to power up your device on the next roadtrip or in an emergency. SureFit Lightning cables feature an ultra-thin connector, which makes it compatible with most cases and doesn't require case removal when charging and syncing. Box Dimensions (LxWxH) 6.1 x 3.9 x 1.2"